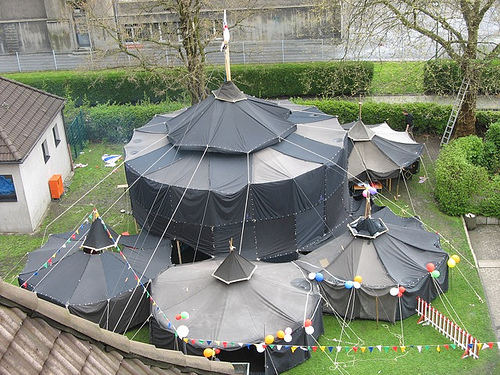 An earlier post about the Flickr Pioneering pool featured a picture of a giant tent complex. 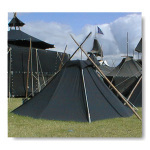 The tent you are looking at are standard German scout tents. Each scout carries a panel and when they reach the destination for camp they put the pieces together. Eberhard Koebel opinionated a design that incorporates several smaller canvas panels that are carried by individual scout as and assembled when they reach the campsite. The panels are available in different sizes and configurations that can be assembled in many different ways. 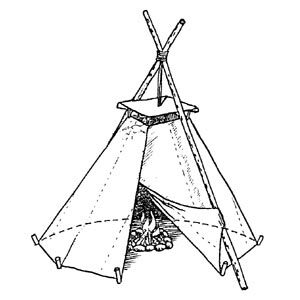 I hope my group can manage to have one of these tents in a near future. Google Earth and Google Maps Google Earth is availble to download for free and is a great resource for planning outings. Depending on the resolution of the satellite imagery (it varies depending on what area you are viewing) it is possible to zoom in extraordinarily close. 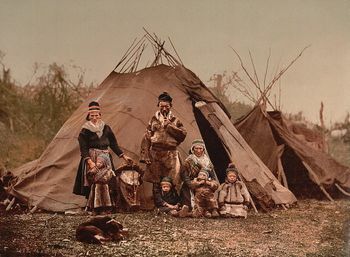 for example much of the area we visit annually on our Canadian canoe trip is at a high enough resolution that I can estimate mileage, the relative difficulty of portages and the location of campsites. I have found that using Google Earth along side topographic maps I can get an excellent visualization of the conditions we are likely to encounter.